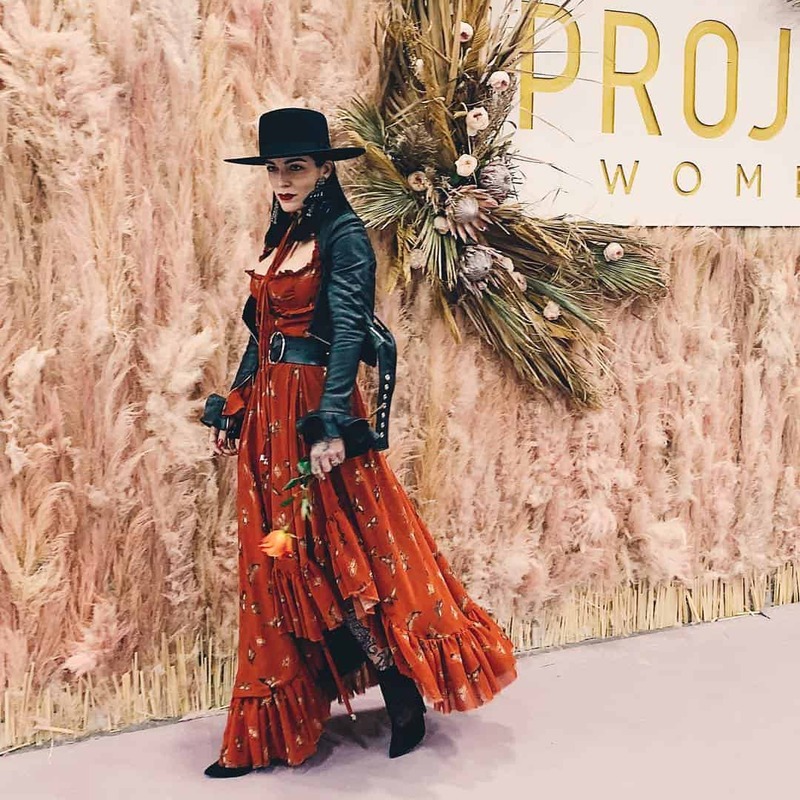 Project Runway finalist CANDICE CUOCO is launching her debut wholesale line, available to buyers for the first time at Project Womens in Las Vegas, February 5-7. CANDICE CUOCO is a fixture in magazines and at fashion weeks worldwide, worn on red carpets and in music videos — most recently by Nicki Minaj in her video for “Good Form”. Now Candice brings her deep romantic artistry from the runway to retail in a ready-to-wear line that blends her celebrated creativity and love of detail with silhouettes now available for women everywhere. Never one to compromise, Candice has created exclusive custom textiles for this collection, featuring modern interpretations of regal prints in dramatic colors. Custom fabrics are a trademark of CANDICE CUOCO’s couture runways, and are now available for retail thanks to a unique partnership with EPSON America. Working with EPSON offers the freedom to design and print bespoke textiles that are perfectly-suited to each garment, and the potential to create unique prints and colorways to order for select wholesale customers. It wouldn’t be CANDICE CUOCO without leather, and the ready-to-wear line features jackets, pants and skirts in buttery hides that will perfectly mold to the body, flatter every woman’s unique curves, and age beautifully over time. Candice has long said that leather is the material closest to her heart, with its armor-like strength and soft drape that perfectly represent women’s dual toughness and vulnerability. CANDICE CUOCO has also created custom metal hardware for this collection, manufactured by TALON INTERNATIONAL INC. Utilizing TALON’s experience making metal hardware since 1893, the ready-to-wear line has been able to feature­ one-of-a-kind embellishments that are bold, yet intricate, and romantic with an edge, true to CANDICE CUOCO’s core design philosophy. CANDICE CUOCO launched in California in 2016. As Owner/Creative Director, Candice gained an international following through successful runs on television’s Project Runway and Project Runway: All Stars. CANDICE CUOCO is guided by Senior Advisor Lee Sporn, who has over 25 years of experience in fashion, most recently as Senior VP of Michael Kors, and previously as VP at Polo Ralph Lauren. Whether runway or retail, Candice stays true to her creative vision, melding her Italian heritage with Bay Area roots and elevating fashion to art. For more information on the line, or to schedule an appointment during Project Womens, email wholesale@candicecuoco.com or visit www.candicecuoco.com. CANDICE CUOCO’s NYFW preview of her SS19 VERONICA FRANCO collection was highlighted on the Fashion Channel. The NYFW event, in collaboration with Art Hearts Fashion, marks the launch of Candice’s first nationwide tour, with appearances scheduled around the country.